UN Secretary General Antonio Guterres has called on India and Pakistan to take "immediate steps" to deescalate tension that soared after 40 Indian security personnel were killed in an attack by Jaish-e-Mohammed in Pulwama. "The Secretary General stresses the importance for both sides to exercise maximum restraint and take immediate steps to de-escalation, and his good offices are always available should both sides ask," the UN Chief's spokesperson Stephane Dujarric told reporters here Tuesday at the daily press briefing. Dujarric was asked about a meeting Pakistan's Permanent Mission to the UN has sought with the Secretary General and also about Pakistani Foreign Minister Shah Mahmood Qureshi saying the UN must step in to defuse tensions between the two nations. "...Looking at the situation in general between India and Pakistan, we're deeply concerned at the increase in tensions between the two countries in the wake of the attack on Indian security personnel on 14 February in Pulwama," Dujrraic said. "We have seen press reports of a letter having been delivered to the UN. As far as we've ascertained, none has been received as of this very minute," he added. 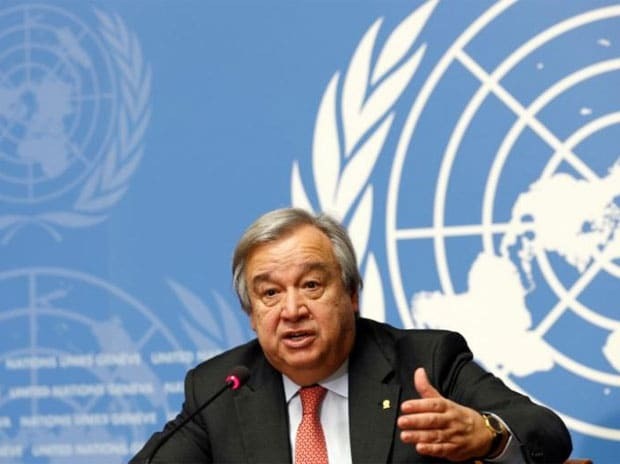 Last week, Guterres had "strongly" condemned the terror attack against security personnel in Jammu and Kashmir's Pulwama district, perpetrated by Pakistan-based terror group Jaish-e-Mohammed, calling for those behind the attack to be brought to justice. "We strongly condemn today's attack in Jammu and Kashmir's Pulwama district and express our deepest condolences to the families of those who lost their lives and to the government and people of India," Dujarric had said at the daily press briefing last Thursday. Responding to a question by PTI on the terror attack, Dujarric said, "We of course wish a speedy recovery to those injured and call for those behind the attack to be brought to justice.